Nairobi, Wednesday, 25 May 2016 – The United Nations, backed by A-list celebrities from across the globe, today launched an unprecedented campaign against the illegal trade in wildlife, which is pushing species to the brink of extinction, robbing countries of their natural heritage and profiting international criminal networks. 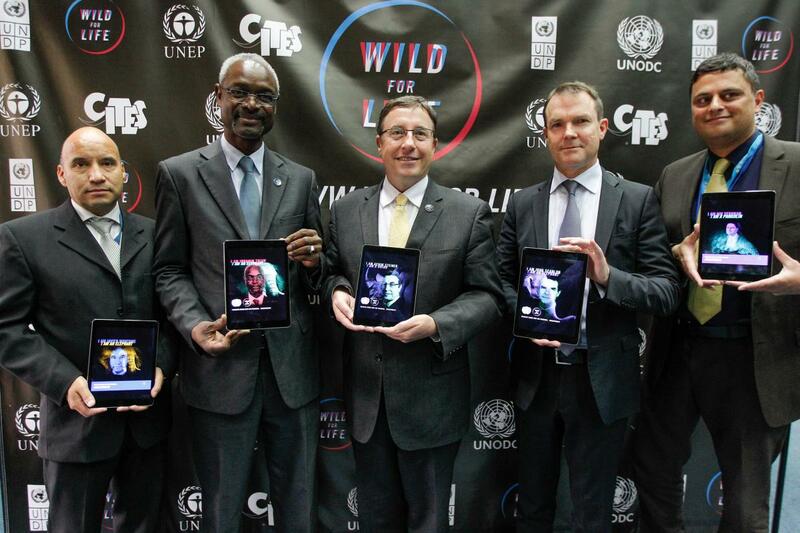 #WildforLife, launched today at the second United Nations Environment Assembly (UNEA-2) in Nairobi in front of environment ministers from every corner of the planet, aims to mobilize millions of people to make commitments and take action to end the illegal trade. UNEP Goodwill Ambassadors are lending their weight to the cause. These include Brazilian model Gisele Bündchen, who is fighting for sea turtles; four-time African Footballer of the Year Yaya Touré (Manchester City, Ivory Coast), who is backing elephants; and actor Ian Somerhalder (Vampire Diaries, Lost), who is rooting for pangolins. Download additional quotes from celebrities and the heads of the UN agencies involved. Download a zip file of pictures of celebrities morphed with their kindred animals. Download a fact sheet on the illegal trade in wildlife. Michael Logan, News and Media Officer, UNEP, [email protected], +254 725 939 620.